Almost everyday in our lives we are faced with decisions, from what to wear to what to eat for dinner, the decisions we make every single day mold us into who we are and can have lasting affects on our lives. As an athlete in professional sports, every life decision is magnified and dissected by analysts, fans or teammates. The world of professional wrestling in comparison to that of professional hockey or baseball lies in storyline-driven matches and predetermined results. That being said, there should be no questioning the physical and mental wear it can have on an individual on any given night, 250 times a year. It has also seen far too many young men and women lose their lives to substance abuse and negative decisions brought on by the accessibility they gained by being on the road 70% of the year. Names like Chris Benoit, Mike Alfonso, Scott Bigelow, Edward Fatu, and the late Curt Hennig, all succumbed to the fatality of substance abuse. For every path taken in life there was a decision made to pave that path. Drug and alcohol addictions are serious problems that come with serious consequences that can be avoided with the proper knowledge and awareness. Former World Wrestling Entertainment Intercontinental Champion Marc Mero experienced the lifestyle brought on by professional wrestling first hand and survived to share his wisdom to change the lives of others for the better. Through Champion of Choices, Marc Mero educates hundreds of youth on the importance of making the right decisions, a life mission which was brought on by the tragic passing of an old friend. “One of the wrestlers was a good friend of mine who I wrestled against many times, his name was Chris Benoit and unfortunately he took his own life and took the life of his wife and his little boy. When that happened it made me realize that there are two types of people; the people who say there needs to be something done and the people that actually go out and do something,” Marc explained. “I got so sick of saying something needs to be done, I wanted to do something because I’ve lost way too many friends. I’ve lost over 30 friends to drug overdoses and suicide and the list goes on and on. I wanted to make a difference so I started a program where I go to schools and speak at schools. I’ve done over 400 now about setting goals, taking actions towards your goals, making the right choices in your life, suicide prevention and anti-bullying,” Mero elucidated. Growing up in a financially unstable broken home initially inspired Marc to become a professional athlete swarmed in all the perks of the high life, a dream many young boys have for themselves. “I grew up very poor in a single family home because my parents got divorced when I was eight. My mom worked two jobs and I always had big dreams. I always wanted to be a professional athlete, I wanted to have a black Cadillac and a speedboat and be rich and famous,” explained the Buffalo, New York native. “I wrote those dreams down when I was 10-years old and because I wrote them down I took action towards them and those dreams came true. Along the way however I made some really bad choices, especially when I got into professional wrestling and got involved in everything from drugs and alcohol, uppers and downers, the pain medication, everything involved with professional wrestling. I became a product of that,” admits Mero. Unlike Major League Baseball or the NHL, World Wrestling Entertainment doesn’t run on an 82-game season with an offseason. Instead it hosts shows almost every night, putting the wrestlers’ bodies through serious impact without any off days. After the Super Bowl, NFL players have a few months to recuperate and to prepare for the following season. The night after WrestleMania, which is considered the Super Bowl of wrestling, they are back in the ring putting their bodies at risk once again. By inspiring and connecting with those he speaks with, Mero uses his honesty and willingness to share his story to gain trust in those who may be faced with similar decisions or fears. Champion of Choices expresses the importance of happiness and love in our lives, even when times may be difficult. 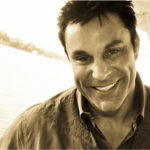 Marc Mero is constantly busy speaking and informing at various schools, churches and corporate events. As a youth, the notion of having a choice in the way we live our lives may seem unrealistic, but with people like Marc educating them with a positive meaningful message, it provides students with the chance to make their life just a little better than it may be.